I felt that if I could plant a seed with children, they will remember and grow up to be good people. At my school, I do not only teach people how to be a black belt at the Dojang but also in life. What are the benefits of teaching Taekwondo to 4 year and 5 year-olds ? Basic motor skills, listening, balance, and focus. Better grades, focus, self-respect, confidence boost, higher self esteem, and discipline. What benefits can adults expect from your class? Self-defense, self-respect, confidence boost and weight-loss. What is the belt order? White, Yellow, Gold, Orange, Green, Blue, Senio, Purple, Blue, Red, Brown and of course, Black. What are the rules of the Dojang? 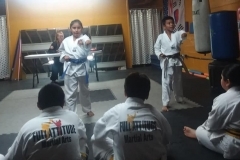 What are the benefits of teaching 3 year and 4 year-olds Tae Kwon Do? Better grades, focus, self-respect, higher self esteem, and discipline. How many belts are there for Tae Kwon Do? White, Yellow, Green, Blue, Red, and Black and the stripes in between each belt. For instance, you can either be a green belt or a green belt with a stripe. The stripe means you are almost ready to move on to the next belt color. It you had a green belt with a stripe, you would be a Senior Green belt. White, Senior White , Yellow, Senior Yellow, Green, Senior Green, Blue, Senior Blue, Red, Senior Red and of course, Black. 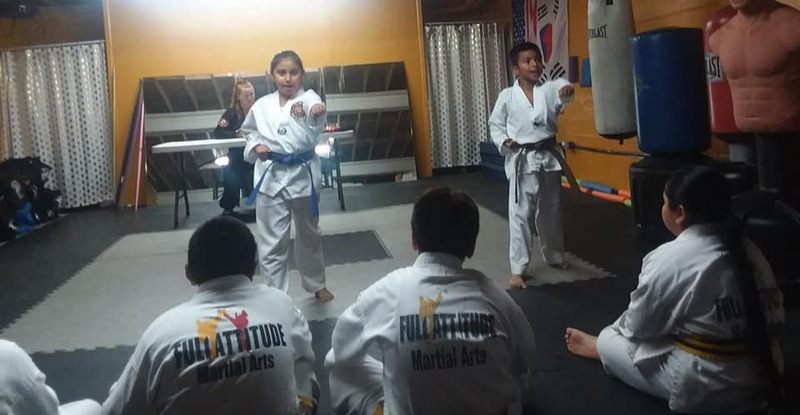 What are the forms in Tae Kwon Do? There are 8 forms or Taeguks.